John Martin-Harvey (1863-1944) was an actor-manager. He was born in Bath Street in Wivenhoe, the son of John Harvey, and grandson of Thomas Harvey, the well- known local boat-builder. The family later moved to live in Quay House which now bears a blue plaque (unveiled 21 October 1989) in honor of his name. 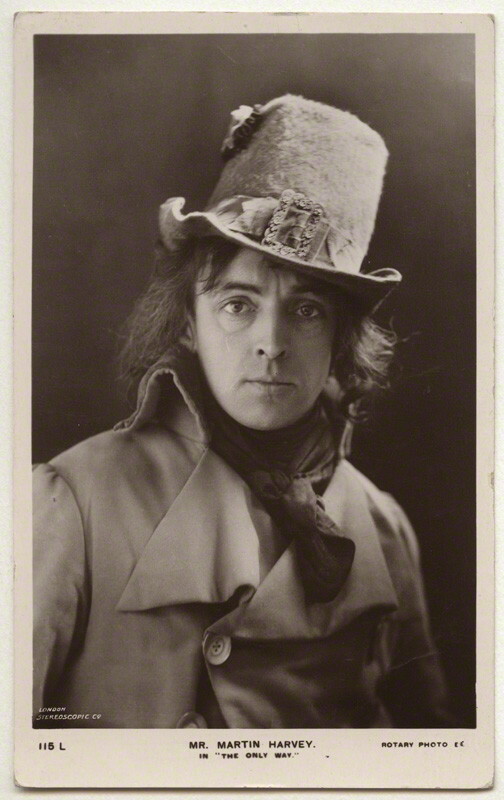 His father wanted him to follow him in the family business but instead he was drawn to acting and trained for fourteen years at the Lyceum under Henry Irving. Later he founded his own company ‘The Martin-Harvey Company’, which toured extensively and ran for forty years. In 1921 he received a knighthood at Buckingham Palace. The book is extensively illustrated and contains detailed Appendices about John Martin-Harvey’s plays and tours and important dates in his life. This page was added on 04/05/2016.